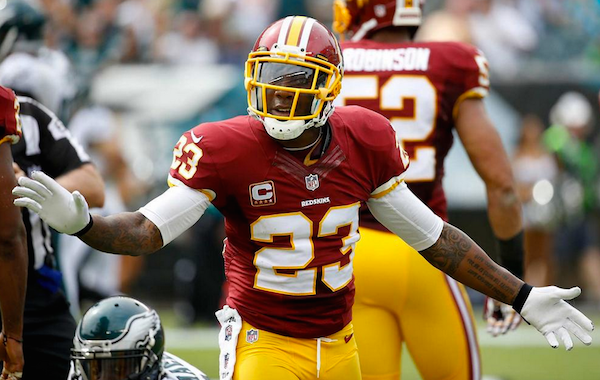 DeAngelo Hall has experienced multi-interception games before. But multi-Achilles tears is a different story. The Washington Redskins cornerback, who tore his Achilles in Week 3 and underwent surgery, tore it again this week and underwent another operation Thursday, NFL Media Insider Ian Rapoport reported, per a source close to Hall. Per Rapoport, this setback pushes Hall's recovery time back a month and a half, which shouldn't hinder Hall's ability to be ready for training camp next summer, if he's still on the Redskins' roster. Hall is signed through 2017, but Washington could cut the corner and save $2.375 million on the salary cap next season. Rookie Bashaud Breeland has shown promise in taking over Hall's spot, including a stellar game Monday night against the Dallas Cowboys.